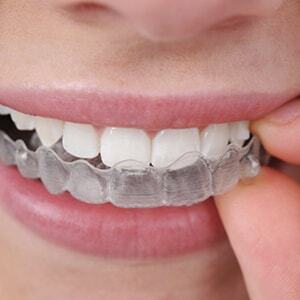 Orthodontics is the specialist area of dentistry that diagnoses, prevents and treats problems involving the alignment of the teeth and the upper and lower jaw. Moving teeth to their desired position normally involves clear braces, metal braces, Invisalign or wearing removable appliances such as a plate. Our smile is a big part of our identity and improving your smile is one of the most valuable investments you can make to improve your self confidence and also your self image. According to the Australian Society of Orthodontics, there are a number of benefits to be gained from orthodontic treatment. The main benefits include improving the appearance, periodontal (gum) health, ease of cleaning and function. Your smile is one of your greatest assets! It is often the first thing we notice when we meet someone, it gives us confidence and a great smile can positively change your life. A beautiful, healthy, smile not only means your teeth are easier to clean and your gums are healthier, it can also help exude confidence and reduce stress. Having a great smile has been shown to boost not only your self esteem but also your confidence! They also look great in photos. Children with problems such as large overbites, openbite or crossbite can occasionally have difficulty speaking or pronouncing certain letters or sounds. Orthodontic treatment can help to correct problems such as these by correcting the alignment of the teeth or help to correct tongue movement. Whilst orthodontic cannot correct jaw joint problems in some older patients, bad bites such as crossbites can be corrected in growing children to ensure that there is a reduced risk of pain or damage later in life. In some patients, the position of the teeth can cause damage to the gums or periodontal tissues. For example, in cases of crossbite bite, the upper front teeth can cause the lower front teeth to be displaced and gum recession can occur as a result. Crooked teeth and incorrect bites can lead to clenching, grinding, and excessive wear and/or uneven wear of the teeth. Problems include such as excessive overbites are at an increased risk of trauma or damage. Crowded teeth can be more difficult to clean adequately. Over time this could increase the risk of tooth decay or periodontal disease. Having straight teeth will allow for easier tooth brushing and flossing which will reduce the risk of gingivitis and tooth decay. At Inline orthodontics we provide our patients with treatment options such as Invisalign, metal braces, clear braces and express braces. 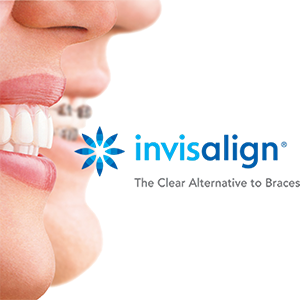 All our treatments include bonded and removable retainers. Please call 07 34880002 for your free initial consultation or simply fill in our contact form.